Love them so much! 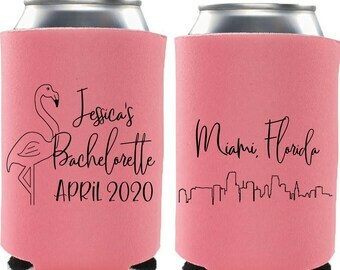 So happy I purchased them, I can’t wait to use them at my engagement party! Today is the last day to place orders! We will be closed starting 9/27 through the month of October for maternity/paternity leave and will not be taking any new orders during this time. 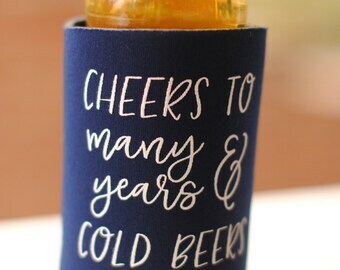 Labor Day sale on all personalized koozies, cups, napkins, and totes ends at midnight tonight EST. Shop now for deals! 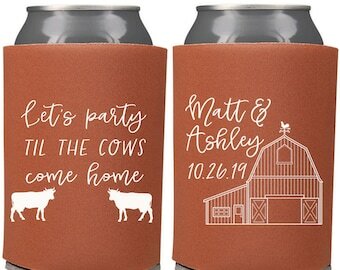 Place your wedding or custom orders today! 470 listings are on sale now through Labor Day! 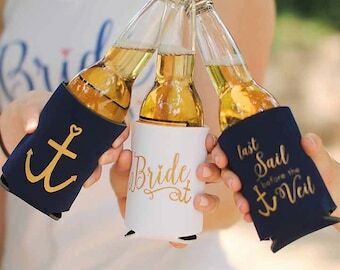 Whether it's the hand drawn heart on a save the date magnet or the engagement ring illustration on a bride to be tote bag, nearly every item contains a handmade element and a blend of vibrant colors and fun style. In everything we make, we try to add a bit of happiness that we hope to pass on. Taking something ordinary and making it fun and playful is what You're That Girl Designs is about. We are a married couple based out of North Carolina. 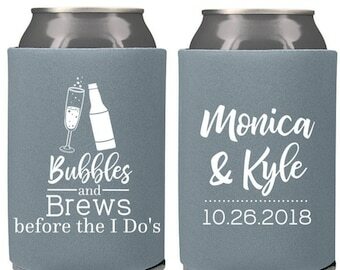 Lesley designs and creates while Kyle handles business management and inquiries. 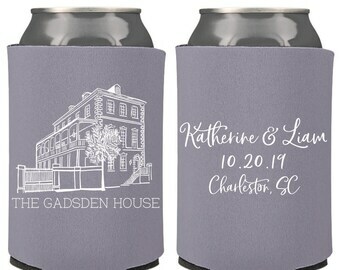 How many can coolers is this listing for? How many totes do you get for this price? To find the price for different quantities, click the "Quantity of ________" drop down menu. Select the amount needed. Prices will adjust based on the quantity selected. Can I get a proof before purchase? Can I make any changes to the proof? Proofs for custom items will be sent once the order is placed. Buyer can make changes to the proof at this time. Items are printed once we receive proof approval from the buyer. Proofs are sent to the email address listed on your order. If this email is incorrect, please let us know the best email to contact you to avoid any delays! 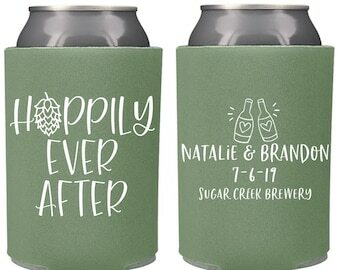 Can I do multiple can cooler colors? Can I do 2 different imprint colors? 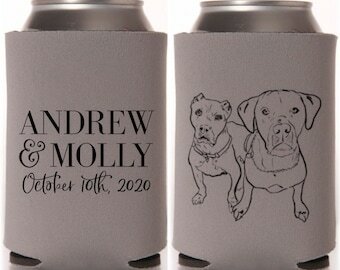 We can split can cooler colors at no additional cost as long as the imprint color is the same between them. We can only print in one imprint color per design. If no imprint color is noted in the message to seller, white is the default. Because of screen-printing setup costs, multiple imprint colors have to be placed as separate orders. 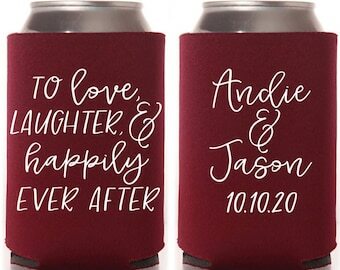 If splitting can cooler colors, please include your additional colors in the message to seller. 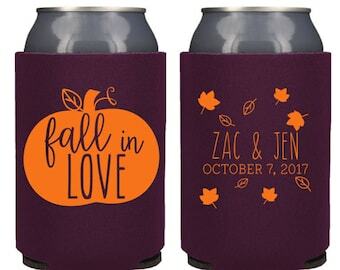 PLEASE NOTE: Depending on the time of year, minimum quantities for can cooler color splitting may fluctuate to higher volumes. I just placed my order, when will I receive my proof? 1-3 business days. Proofs are not sent out over the weekend. Proofs are sent to the email address listed on your etsy order. Please make sure this email is correct to avoid any delays with the processing of your order! Proofs are sent only for items that have personalized text. 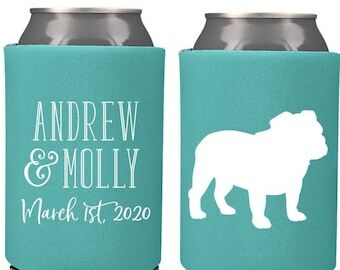 Can I order less than 12 custom can coolers? 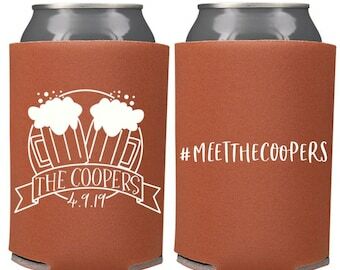 12 is our print minimum for personalized can coolers. What is your turnaround time? When will my order ship? Production time is approximately 2-3 weeks for all custom orders and about 1-2 weeks for ready to ship items. Please contact us to see if we can accommodate your event date. Rush options are available. As long as the design process of your order has not begun, we will be happy to cancel and refund your order. If your proof has been sent, we will not be able to cancel or issue a refund. We appreciate your understanding of the time it takes to design your proof. We can customize almost any design to fit your needs. 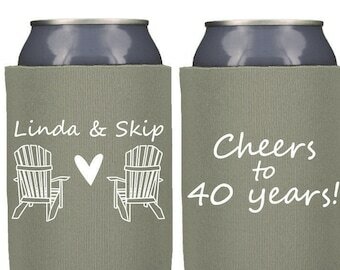 Personalized, custom items are final sale. This size/material is the industry standard, other materials available by special request. Print Area: depending on design, between 8"x8" and 10"x10"
For sizing on any other items, please refer to the listing description and/or photos. We do our best to represent colors here as accurately as possible but colors may vary in person from those seen on your monitor.